Suriani Suratman first started taking pottery classes in 2001 at the Centre for the Arts, National University of Singapore (NUS) under the tutorship of Iskandar Jalil. It was the beginning of a lot of fun, excitement, challenge and above all, the evolvement of a new passion. She now has a studio space at Jalan Bahar Clay Studios (JBCS). She also teaches pottery and has been offering classes both in handbuilding and throwing on the wheel since 2005. Suriani enjoys transforming a lump of clay into various forms whether on the wheel or by handbuilding. She likes working with different types of raku clay. 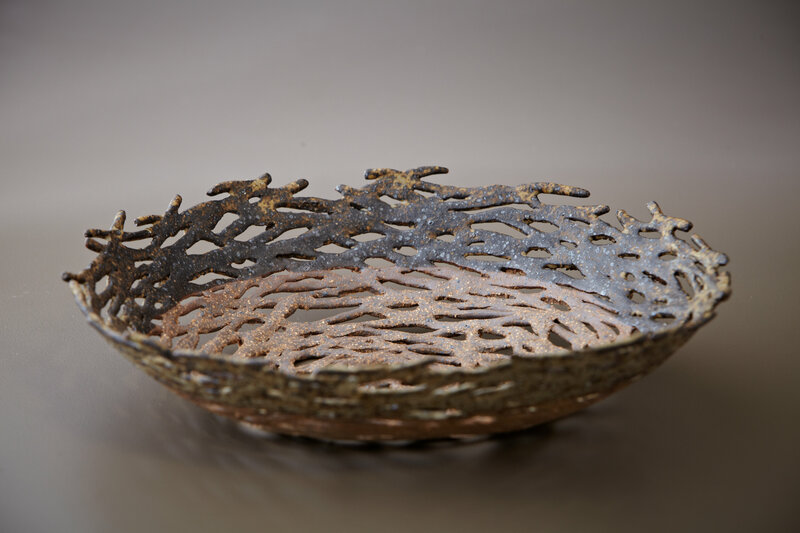 The coarseness of the clay gives texture to the organic forms she creates. To add more texture to the clay surfaces slips made from local clay are either smeared or splattered. 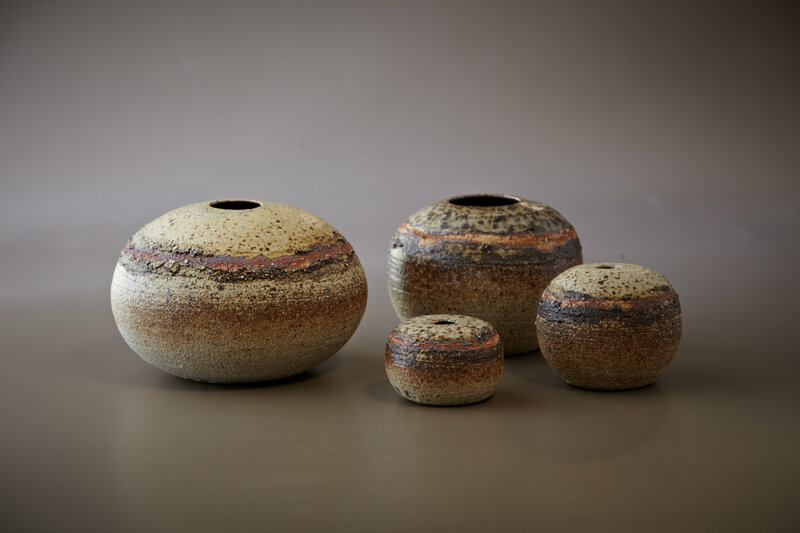 She makes her own glazes from ash that come from the firing of Guan Huat dragon kiln at JBCS, birch trees in Germany and eucalyptus trees in Australia. The ash glazes give the speckled effects to her works. The pieces are fired to a high temperature of 1290ºC. For Suriani, it is important to always follow her intuition and be spontaneous when doing her work. Alam, her first solo exhibition was held at ART2 Gallery in January 2013. Her group exhibitions include Iskandar Jalil Ceramics Exhibition – A lifelong Passion for his craft and his teaching (Japan Creative Centre, 2013), Inspirations from Kampung Gelam (Malay Heritage Centre, 2008), Starting with Clay… (ART2 Gallery, 2006) and Discovery Phase (ART2 Gallery, 2003). She has done commissioned works for Ministry of Law (2012), Singapore International Foundation (2009), National Heritage Board, Patron of the Year Award (2007), The Sentosa Resort and Spa (2006) and Temasek Holdings (2003). Her works are sold at ART2 Gallery, Old Hill Street Police Station Building JBCS Gallery.